Hindustan Steel Corporation - Wholesale Distributor of metal pipes & tubes, metal sheets and plates & metal wire since 1975 in Agra, Uttar Pradesh. We hold expertise in offering quality range of Metal Pipes & Tubes that is highly demanded in the domestic market. We deal in all types of G.I. & M.S. Pipes (Round, Square, and Rectangular) which can be supplied as per your requirements in various thicknesses. 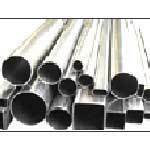 We are the Supplier of TATA PIPES & TATA STRUCTURA, JINDAL PIPES, APOLLO PIPES, etc. We are engaged in trading and supplying an extensive range of Metal Sheets and Plates. Our range includes C.R. Sheets, G.I. Sheets, H.R. Sheets, M.S. Plates, and Chequered Plates in various thickness and sizes. 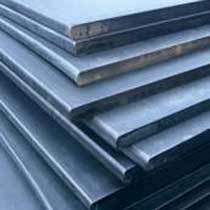 Moreover, the buyers can avail Metal Sheets and Plates at most competitive prices. We are instrumental in offering a wide range of Metal Wires, which is appreciated for its high strength and durability among the clients. We supply all types of M.S. Wire, G.I. Wire, Barbed Wire, and Wire Mash in various thicknesses and sizes. 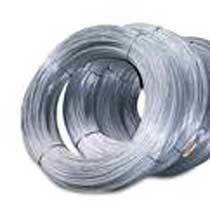 We are the Dealer of TATA WIRON binding wire. Being a leading Supplier, we are engaged in supplying of Galvanized Plain Corrugated Sheets in various lengths, widths, and thicknesses. 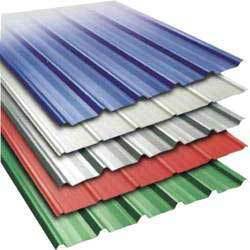 We are the Dealer of TATA Shaktee Galvanized Plain Corrugated Sheets and offer a complete array of products. 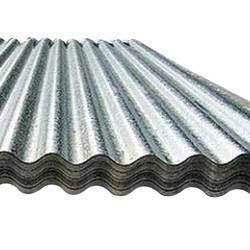 These Galvanized Plain Corrugated Sheets can be availed at competitive prices. The TMT Steel Bars are supplied as per the ISI standards and customer specification. Our aim is to provide full satisfaction to customers with respect to quality & timely delivery. TMT Bars are supplied in various grades such as Fe- 415, Fe- 500, Fe-500 D, Fe-550. We are the Dealer of TATA Tiscon TMT Bars & Distributor for Barnala Plus TMT Bars. We are one of the most elite Wholesale Suppliers of Structural Steel. 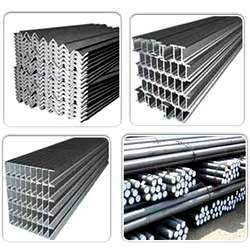 We have full range of Angles, Channels, Beams, Flats, Rounds, etc. which can be availed in different shapes, sizes, composition, and strength as per the requirement and specifications. 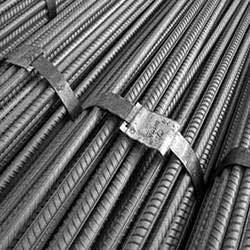 We supply structural steel of Rastriya Ispat Nigam Ltd, Steel Authority Of India Ltd, Jindal Steel & Power Ltd, KL Steel (p) Ltd, etc.